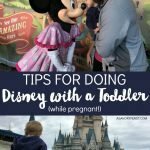 I received tickets for Epcot in exchange for this post, but all opinions are my own. 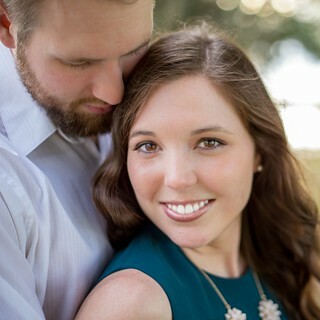 Andrew and I both love trying new foods, so we were so excited to go to Epcot’s Food and Wine Festival this year! 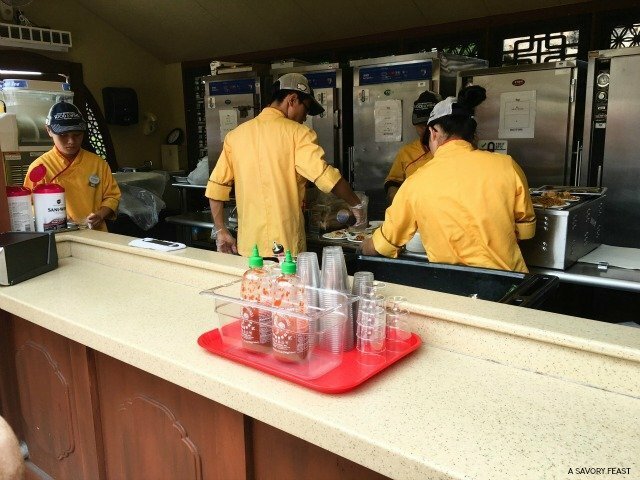 Epcot is divided into counties from around the world, and each one offers food and drinks during the festival. 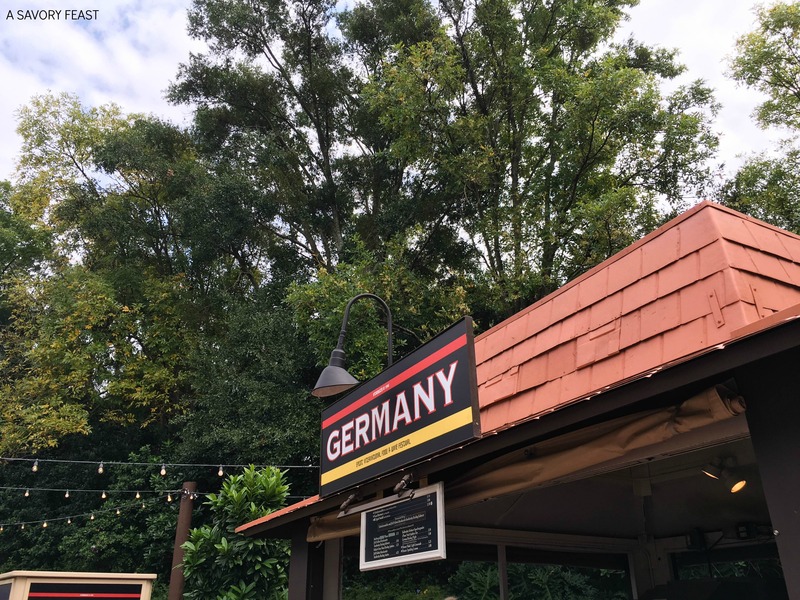 We got to try dishes from everywhere from China to Germany to Belgium. 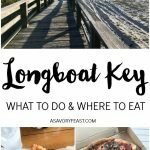 If you’re planning to attend, I’ve got a few tips and must-try dishes for you! This is a Disney event you can’t miss! Tip #1: Before you begin your culinary tour, be sure to pick up a Festival Passport. You can find them at the Festival Center or at various merchandise or marketplaces along the way. You can use this passport to keep track of the dishes you tried and make sure you don’t miss anything! Tip #2: Go with a buddy! It was so much fun to go with Andrew because we both got a different dish at each booth and shared it with each other. This was you can try more dishes! Tip #3: If you have a Chase credit or debit card, you can relax in the Chase Lounge located by The American Adventure. We didn’t find this out until afterward, but it would have been so nice to take a break in the air conditioning. It may have been November 1st, but it was still super hot and humid! Tip #4: Go during a meal time. Andrew and I went at lunch time, and were able to try lots of foods without getting overly stuffed! My favorite booth by far was China. 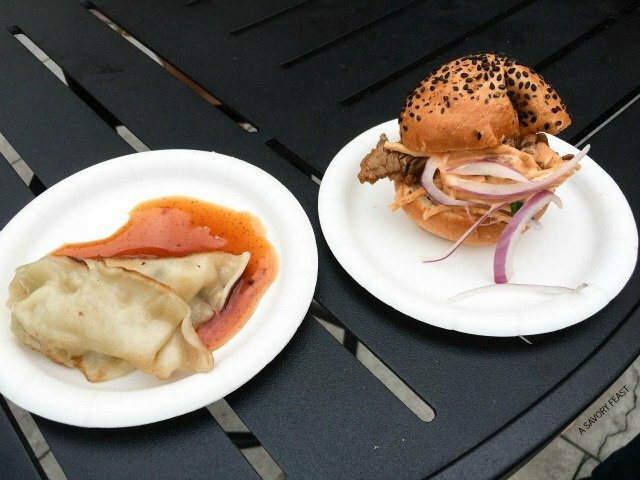 The picture above is of the Chicken Pot Stickers (left) and Gaoli Beef Slider (right). 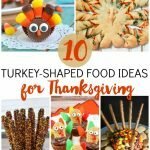 These dishes were both so good! The slider had a really good sauce. Of course we had to try some belgian waffles from Belgium! We got the Berry Compote and Whipped Cream (left) and the Warm Chocolate Ganache and Whipped Cream (right). 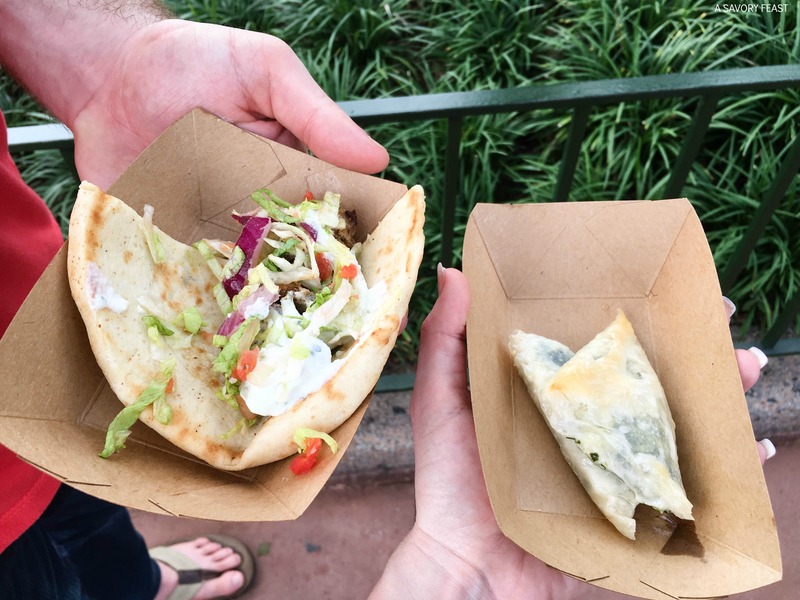 In Greece we got the Chicken Gyro with Tzatziki Sauce (left) and the Spanakopita (right). Both were delicious, but the Spanakopita is definitely the must-try! The flavor was incredible! We had been looking forward to Japan the most, and it didn’t disappoint! 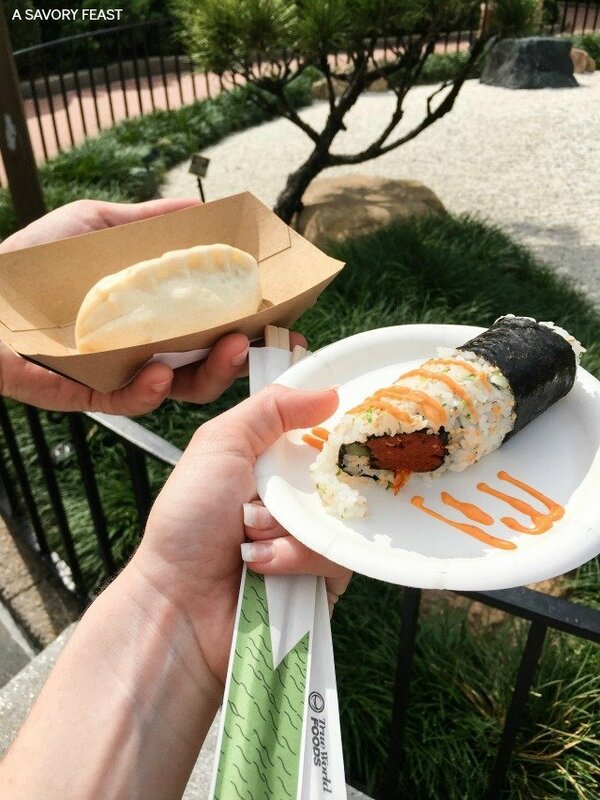 We tried the Teriyaki Gyoza Bun (left) and the Spicy Hand Roll (right). The Teriyaki Gyoza Bun was one of our top favorite dishes! The hand roll was good too, but for sushi lovers like us it wasn’t anything special. Epcot’s Food and Wine Festival runs through November 16, 2015. Be sure to plan your visit soon! 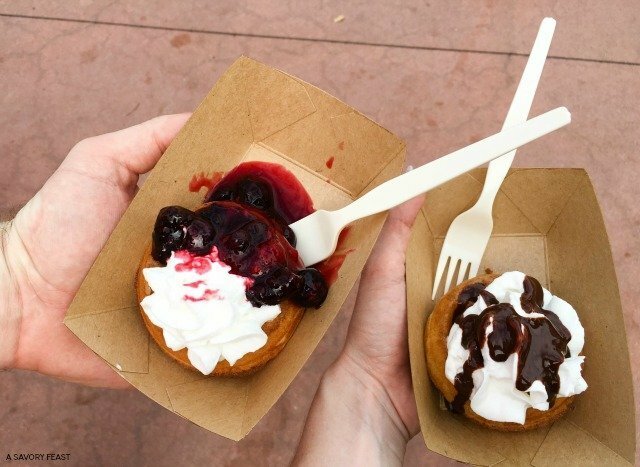 Have you been to the Food and Wine Festival? What were some of your favorites? I’m obsessed with this post! I love Disney and particularly Epicot but have never timed it right for the Festival. Next year! It’s a blast! You should definitely plan to go next year if you get a chance. Oh my gosh! I would LOVE LOVE LOVE that. I am drooling over all the food. It was so so so much fun! I can’t wait to go back. Yes to all of this! 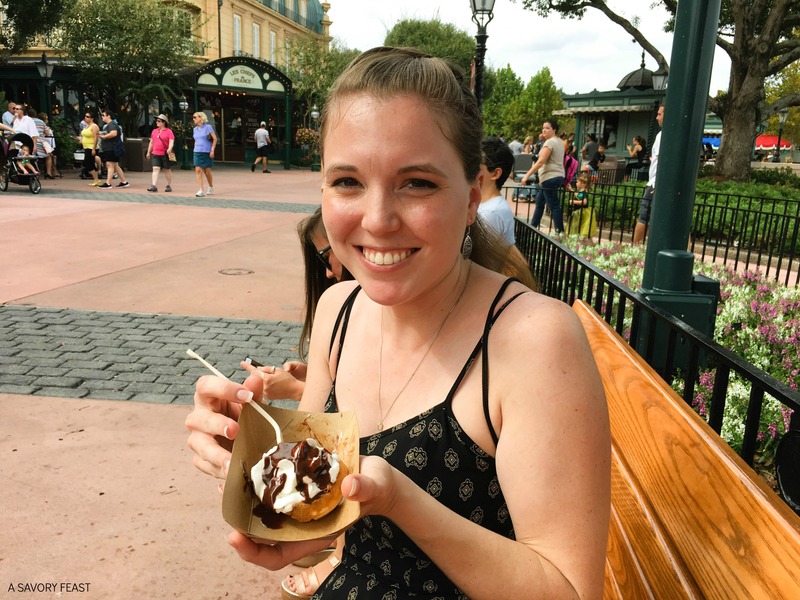 Epcot is totally my favorite park in Disney…..because food and drinks galore! This was actually my first time at Epcot, even though I’ve lived 2 hours away my whole life! This festival was so much fun. I definitely need to go back and check out all the rides and shows another time. That looks like so much fun. My brother in law works at Disney. This festival was a lot of fun! 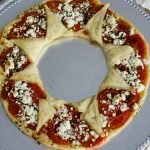 If you love trying different foods you would have a blast. It all looks so good. I’m aiming a trip to Florida one year to co-incide with the food and wine festival. You should go! It’s so much fun. We had a great time! We use this strategy a lot when we try new restaurants, too. It’s a great way to try more! It’s so much fun for a date day! You guys would love it.